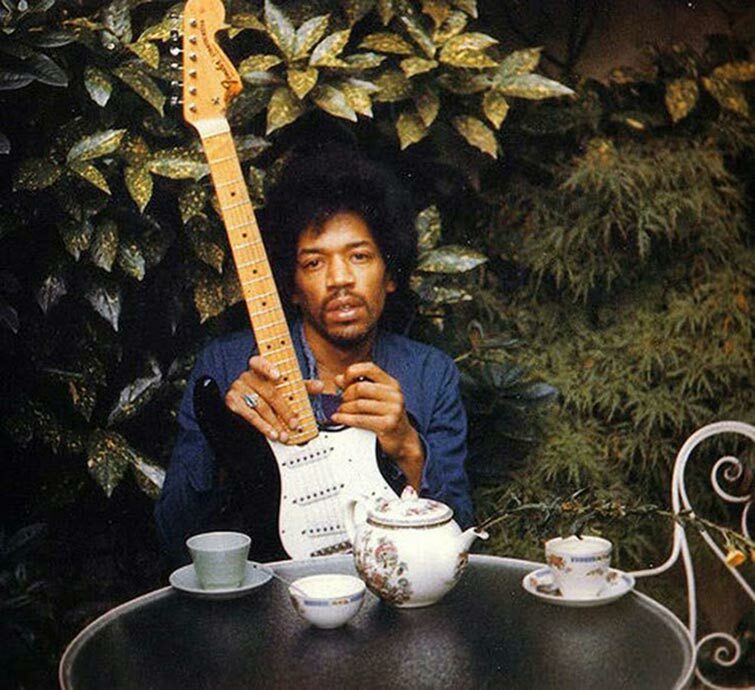 Jimi Hendrix is a legend for all the things that he brought to his loyal fans, but also due to his untimely death that left his fans forever devastated. As if that wasn’t sad enough, it’s come to the attention of the world as of recently, that the photos you’ll see below are the last ones ever taken of the famous musician. They are happy photos of him and his girlfriend, Monika Danneman exploring the sights and enjoying life, while she took photos of her beau. These photos are especially special because they show him happy with his life and enjoying the fall air, totally devoid of knowing or understanding that he would die the next day and cause so much pain to the girl taking the photos. Though they are undoubtedly sad to look at, knowing what would happen to him less than 24 hours later, it’s also amazing to see his happiness and genuine joy with life, doing normal things as we all did. Some of the photos include his prized “black beauty” guitar, his posed both playing the strings as well as showed off its beauty in a soft cradling position. He looks so natural and just like you and I, that we can feel as though we are partially part of the photo ourselves. In the years that have passed since his death. It’s a comfort to see these photos, as the sadness had faded away enough that fans can see them without feeling as heartbroken, and instead grab onto some of the joy that Hendrix exudes so easily.